Anyone who thinks of poetry as a hermetic art form has not read Jennifer Maiden. 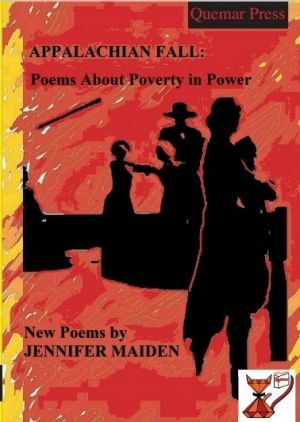 A keen and articulate observer of current affairs and trends, Maiden’s work explores a political and sociological landscape through the lens of poetic vision. This analysis takes many forms, often in multi-genred pieces that transcend essay, fiction, biography and poetry. In spite of the mixed literary forms, there is a consistency in characters, themes, and in approaches across Maiden’s oeuvre that makes for an accumulative effect. Once we know, for example, George and Clare, or Maiden’s fictionalised Hilary Clinton, their reappearance in new work immediately conjures a backstory. That said, the poems in Maiden’s latest poetry book, Appalachian Fall, work fine as individual pieces. In these poems, American politics remains present but is also a counterpoint to the timelessness of artistic endeavour. Maiden brings in the work of her referents in a way that deepens the perspective and turns the immediate into the universal as it works against the repetition and progression of history, in a way which maintains a strong sense of wry humour throughout. To get every nuance of Appalachian Fall requires multiple readings and probably some extra work looking up names that are unfamiliar – particularly for reader outside of the Australian poetry scene. The effort is repaid richly though in a multi-layered, complex and powerful book that crosses genre and illuminates the state of the human race in all its frail, dangerous beauty.